Provide the best, most efficient training and learning environment for you. Keep our 100% accident/incident free safety record intact and train you to be a safe and exceptional pilot. Cater to your individual needs and customize your training program to achieve your goals. Make it a very rewarding and enjoyable learning experience. 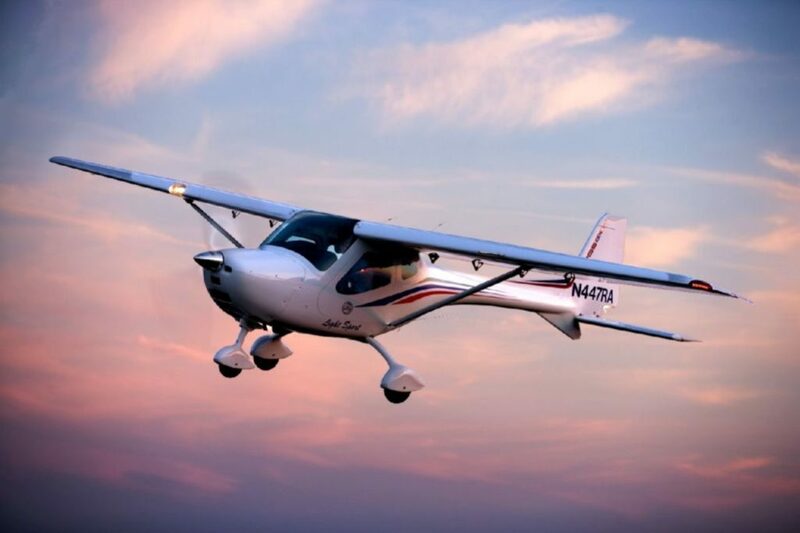 When you have your Sport Pilot License, you’ll be able to fly a sport category airplane, normally a two seater with friends and family for recreation or on trips around the country, even internationally. Typically you’ll fly a rented/owned sport airplane that flies at speeds in the 110 to 130 mph.You’ll have access to thousands of airports around the country and will be able to take trips in a weekend that would require days of traveling by car. Perhaps most important, though, you’ll have the freedom of the skies, able to take off and enjoy the breathtaking scenery and freedom of the skies whenever you choose. You’ll also have set yourself apart from the majority of the population, mastered a great challenge, experienced probably the greatest adventure of all, and have become one of the few who master the skies. Obtaining a sport pilot license can be significantly easier and cheaper than a private pilot license. The FAA training requirements for the license is much lesser than private pilot license. 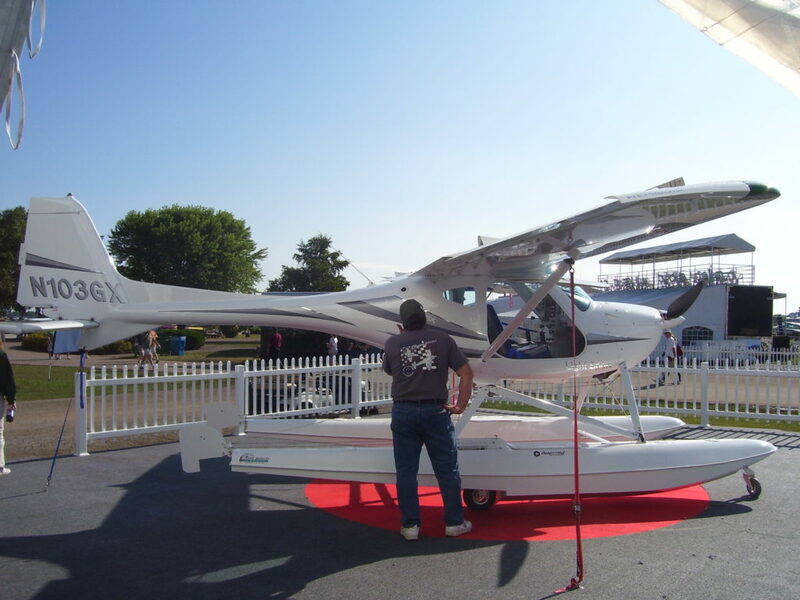 This license is also very popular for pilots who are training for recreational reasons. The sport pilot license does not require an FAA medical examination. To become a Sport Pilot typically involves between 20 and 40 hours of flight time, some ground training, and pass the FAA test. The law requires you must have at least 20 flight hours, but passing in such a short time is fairly unusual; the national average is around 30 to 40 hours. You might spend anywhere from a month to several months to obtain the license depending on how frequently you train. In the region of two to three months is typical if you’re working a full-time job and have a family. Most of your flight hours will be with an instructor, but part-way through your training, you will start to fly solo, entirely by yourself. 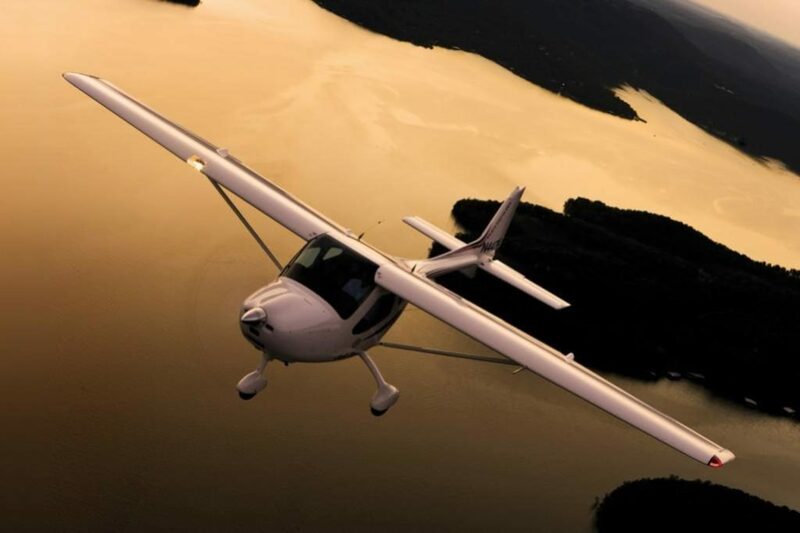 The first solo flight is a great event in every pilot’s career, regardless of whether that pilot becomes a military, airline, or other professional, or just flies for fun. The FAA tests are carefully conducted for fairness and consistency, and if you’re a safe and competent pilot, properly prepared by your instructor, you should pass easily. One test is a computer based, multiple choice format, while the other is a practical test, often called the “checkride.” In the practical test, your examiner will ask you oral questions, and take you flying to determine if your skills are up to the required standards. There are published testing standards by which you would be tested by the examiner.Your instructor will train you to perform at the required standards. Possess a currently valid Airman Medical Certificate or a state-issued driver’s license. Be able to prove U.S. citizenship or nationality, or else comply with TSA procedures for alien flight training eligibility & application. Sport Pilots who possess a current and valid U.S. driver’s license don’t have to have an Airman Medical Certificate, but some requirements and conditions do apply. Again, your health and safety come first; so if you think you’re sick, then see a doctor and get advise and treatment. They must hold a currently valid U.S. driver’s license. A pilot who uses a driver’s license to meet the medical requirement must comply with any restrictions on his or her driver’s license, such as a requirement that he or she wear corrective lenses. Individuals who previously held an Airman Medical Certificate or an Authorization for Special Issuance that has been denied, suspended, withdrawn, or revoked; or whose most recent application for an Airman Medical Certificate did not result in their being found qualified for at least a third-class Airman Medical Certificate, cannot use a driver’s license to exercise Sport Pilot privileges. 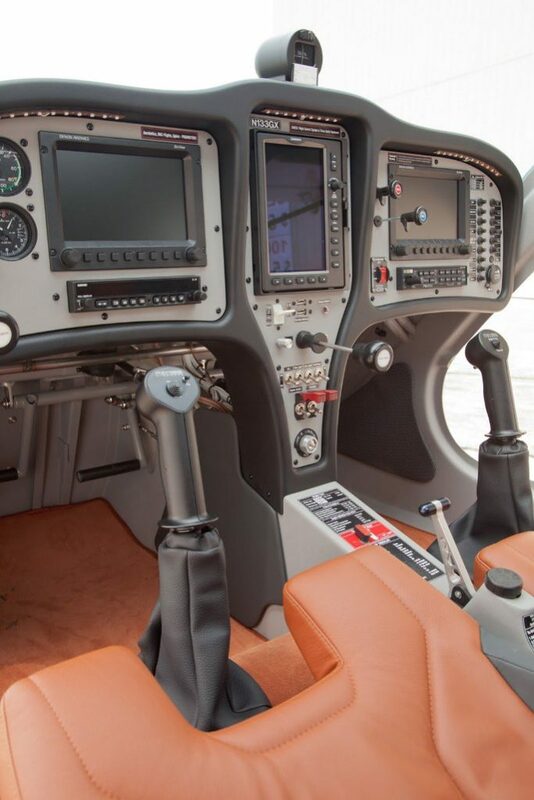 Cost of obtaining your Sport Pilot License is made up of airplane rental, instructor time, books and study materials, pilot supplies, and the FAA test fees. Obviously the final cost depends heavily on how many lessons you need before you’re ready to take the tests. Another significant variable is the airplane you decide to fly while learning. 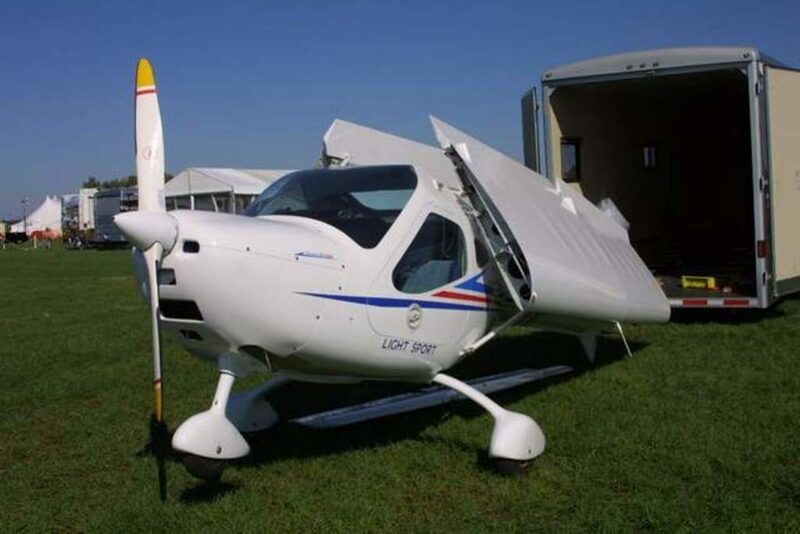 Many people choose to fly a Remos GX Light Sport plane while they’re pursuing a Sport Pilot license, and that will typically cost $119-$129 per hour to rent. Expect your instructor fee in the region of $40 to $50/hour, for flight and ground training time. You can minimize the costs of “ground school” by studying the online course or books by yourself as much as possible and turning up to each lesson well prepared. For a reasonably realistic working budget you should consider airplane and instructor time, add perhaps $300 for books and materials, another $150~$500 for a headset (you’ll probably want your own) and charts, and about $500 for the exam fees. The costs are spread over the time you take to complete your license, so typically expect to be paying this total over six to twelve months. Budget for a regular monthly outgoing based on the amount you can afford, and schedule your flight time limited by that and what your lifestyle will allow. Look on this as a journey, rather than a single achievement, as you’ll presumably want to continue flying after you have been awarded your pilot certificate. Some lenders offer financing for flight instruction. Notably, if you’re a Veteran, your benefits can be used for some aspects of flight training. Your total cost of training will depend on how quick a learner you are and how frequently and consistently you train. Most students are able to obtain the Sport License at a cost of $5500-$7500, if they train consistently. Your first lesson is more of information gathering, your instructor will answer any questions you might have: about airplanes, about how to fly, about costs, and about what to expect for the rest of the time you’re a student pilot. But rather than spend a lot of time on the ground, the main point of the first lesson will be to do some flying and get the feel for being in the air. If there’s some local areas you’d like to overfly, ask your instructor, if it’s reasonable, you can probably do that. We offer gift and introductory flight packages. In these flights, you can expect to do much of the flying, but if you’d rather just go along for the ride and get the feel for what’s happening, perhaps even just to decide if you like the experience, you can do that too. Your instructor will try to find out what you’d like to do and the only important thing is that you should enjoy it. If you take an introductory flight with us, bring your camera along; you can take pictures from the air, perhaps of your home or other favorite landmarks in the vicinity , and take a few pictures of you with the airplane. We can also provide you with the Gopro video of the flight for a small fee. Total Days of Training : 30-45 Days ( 3 times /week) 2 hour lessons.